The hills just get steeper both up and down–we’re talking better than 20% grades where you go up and down sideways! It was 26.8 km (16.8 mi) and many idyllic scenes. The path is more inland–no ocean views today, but the occasional cool breeze made the warm weather more tolerable. Our albuerge filled up and offered only sleeping on the floor on your own mat. I had to take a picture of the crowds standing in the check-in line and the dozens of shoes lining the hallway. The spin dryer was a welcome gadget to spin extra water from your laundry so it dries faster–it seems to be standard equipment! 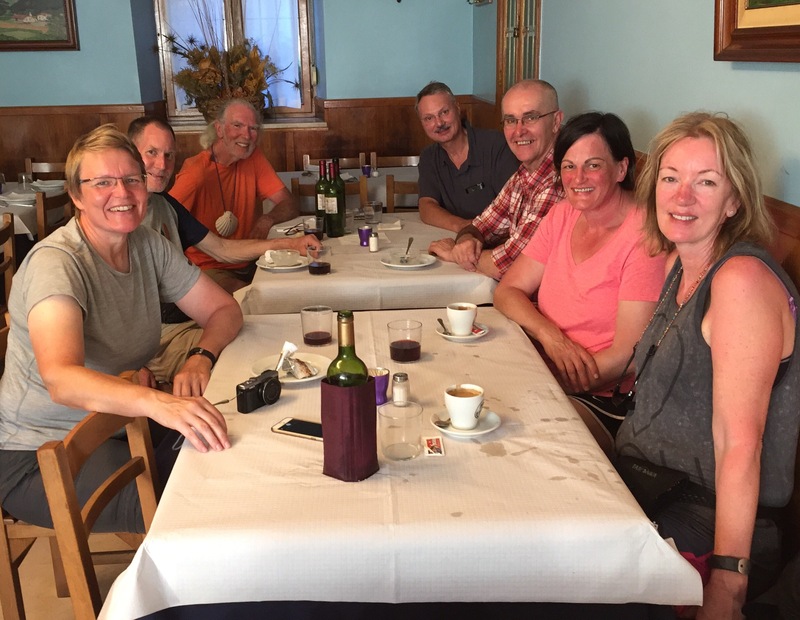 And above all, the international spirit of the Camino prevailed at our dinner table: USA, Belgium, Australia, and Denmark–and that’s just seven of us. 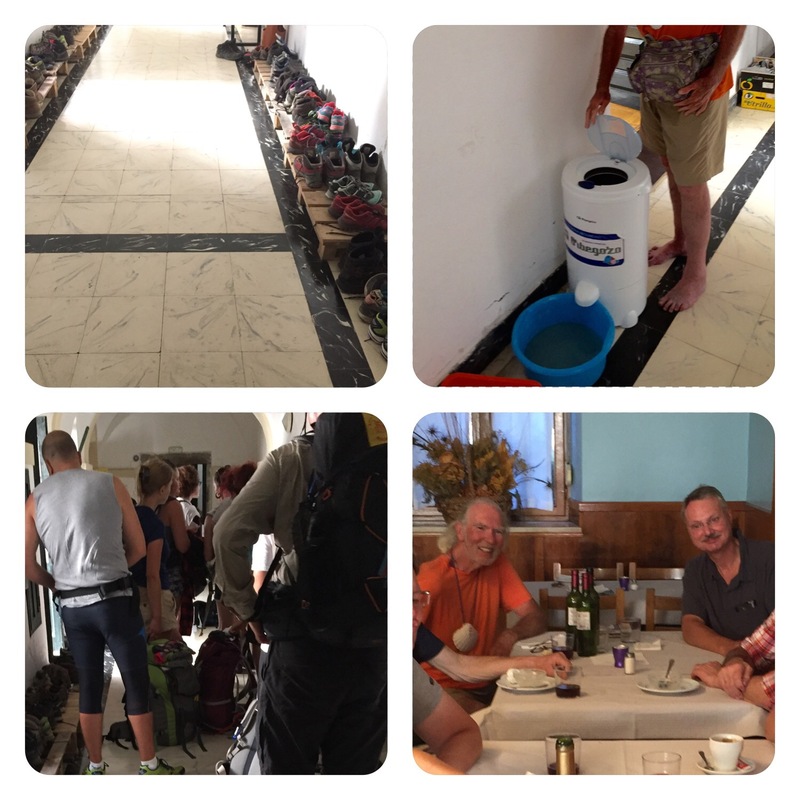 Sounds like a challenging walk up and down hills today ending at an albergue with other pilgrims from multiple countries and sharing a meal together. I notice you are sharing a few bottles of wine too. A pleasant way to end your long day of walking! It looks like you and your fellow pilgrims had a fun time!